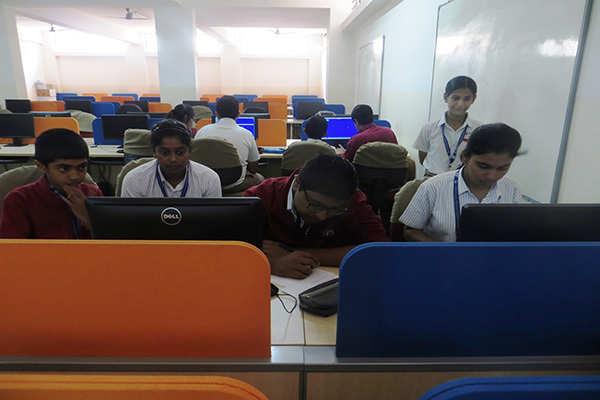 The Cyber Association organised the 'Spot Programming' competition for the students of Classes 9-12. 16 students made it to the final round that comprised students representing all the four houses. Each house was given 2 programs like 'to find twin prime numbers from 1 to 100' and 'to print a given pattern' on the spot and they had to execute and show the output within a specified time. The activity helped them to demonstrate a collective effort by the team members to create a solution by implementing their analytical and logical skills. Keep Calm and Code On!! !